Summer entertaining season is upon us. This year upgrade your summer with 7UP and Johnsonville brats available at Walmart! When it's hot outside no one wants to spend time cooking when you can be enjoying the weather. 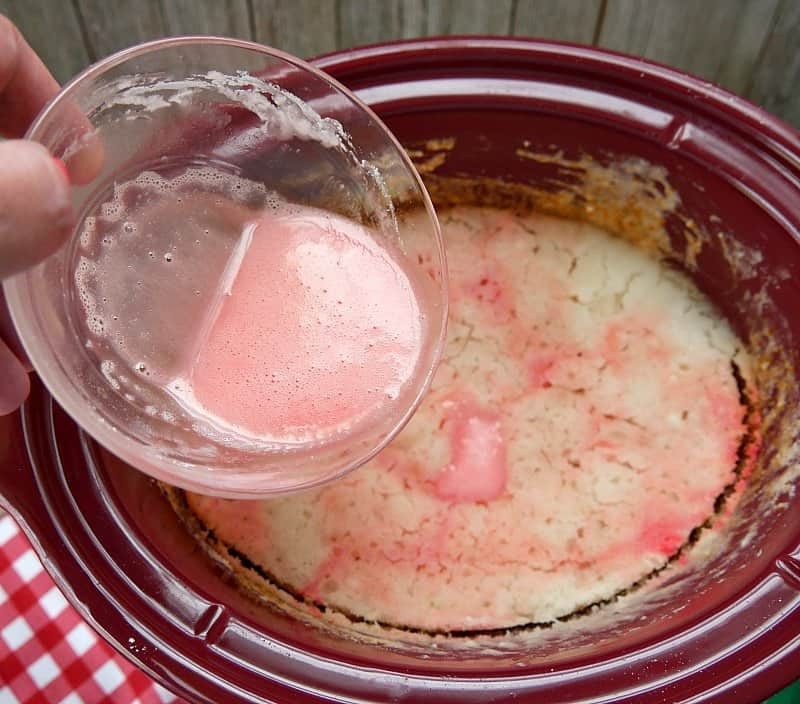 And no one wants to turn on the oven to bake a cake, but you can totally make one in your slow cooker! 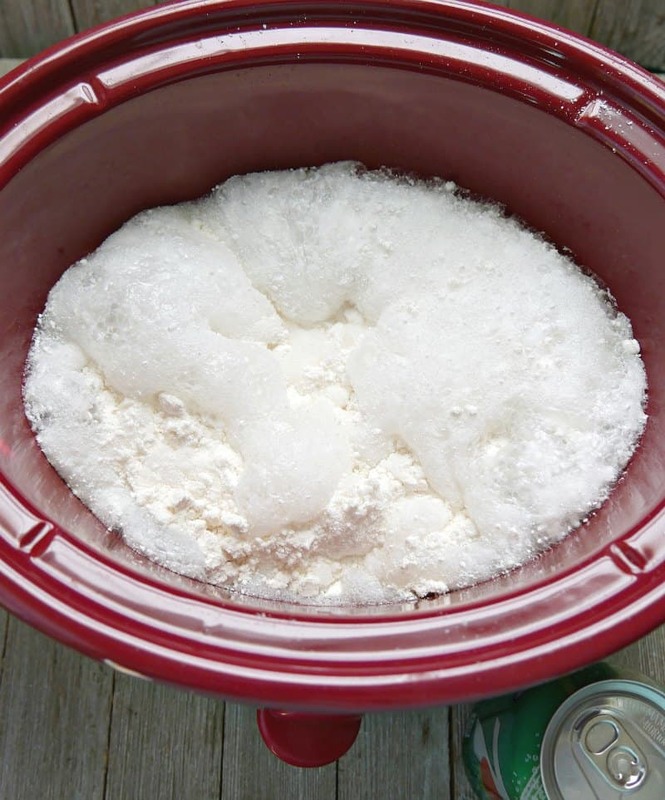 This slow cooker cake is only 3 ingredients and it's ready in under 2 hours. You can just mix it up and let it cook. It's perfect for entertaining. 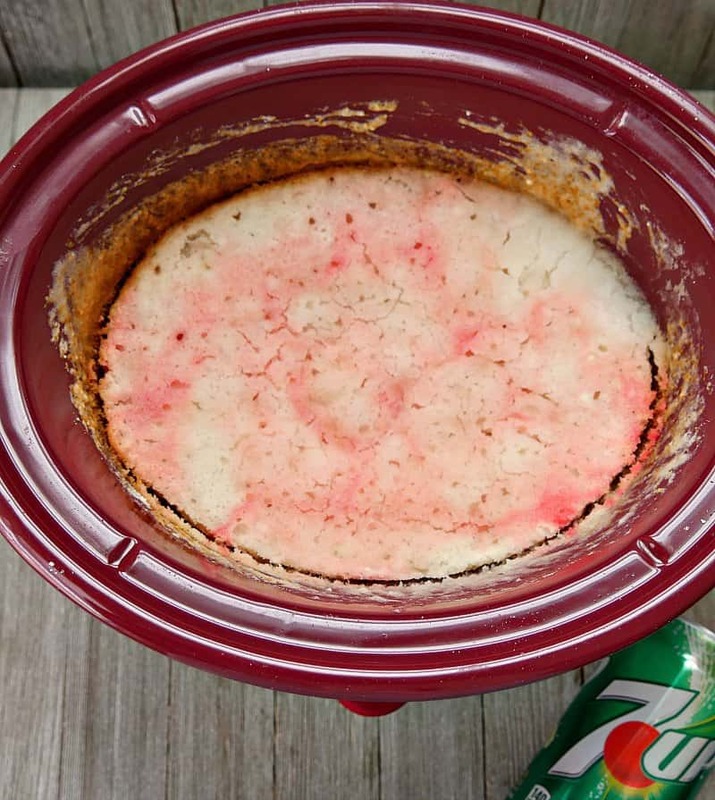 The three ingredients you need for this slow cooker cake are 7UP, a white box cake mix and maraschino cherries. The cherries add a nice color and flavor to the cake, but you can make this without them, too. 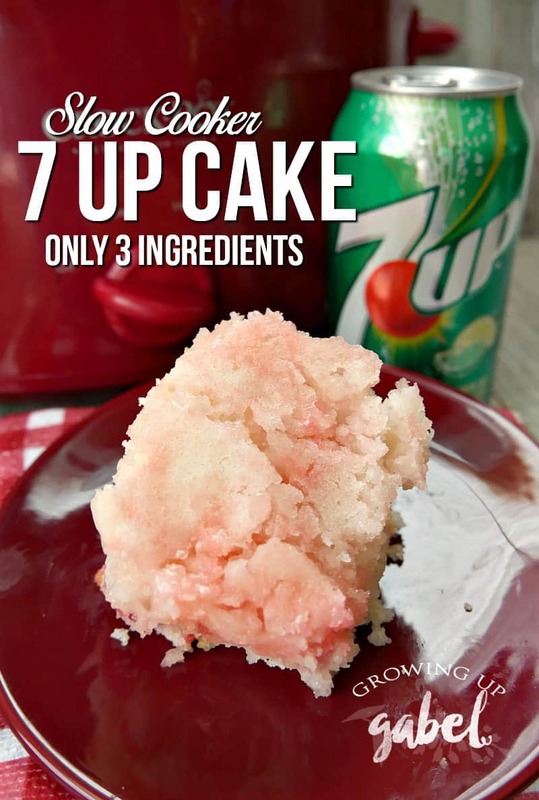 7UP is such a fun and versatile ingredient you can use in a ton of fun recipes. It's not just for drinking! Although that crisp, clean and refreshing lemon/lime flavor certainly tastes great on a hot summer day. This summer, don't just drink 7UP to stay cool. 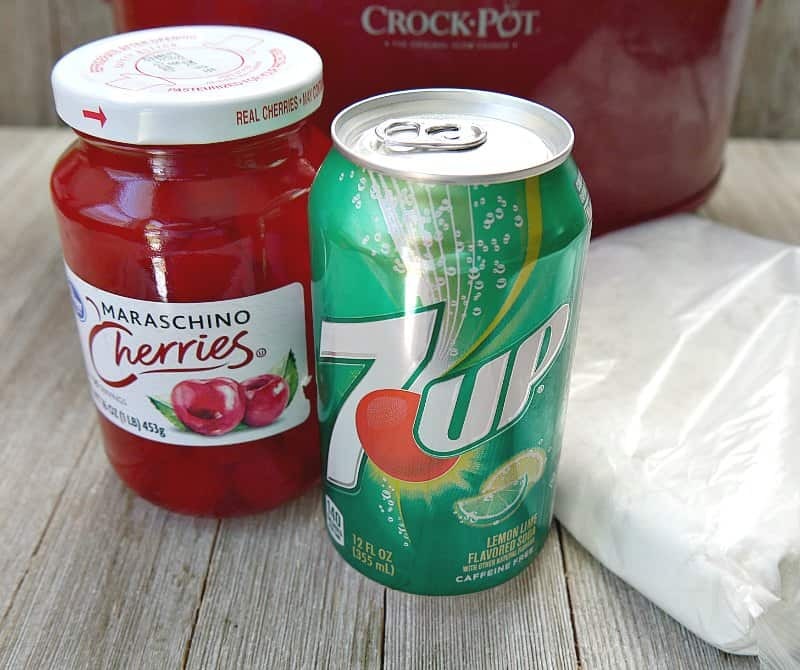 Cook with 7Up and get creative. 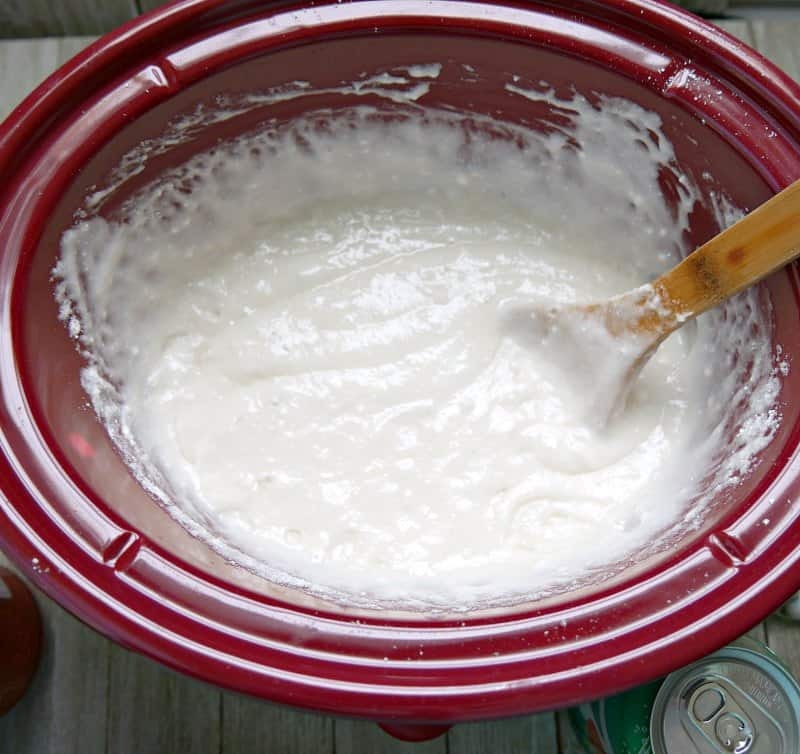 Open the cake mix and dump it in to the bottom of the crock of a 4 quart slow cooker. 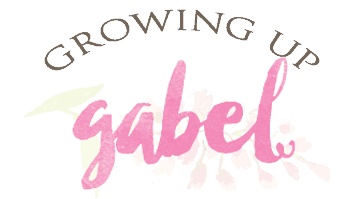 We used white cake mix but a Funfetti or even a cherry box cake mix would be fun to try. 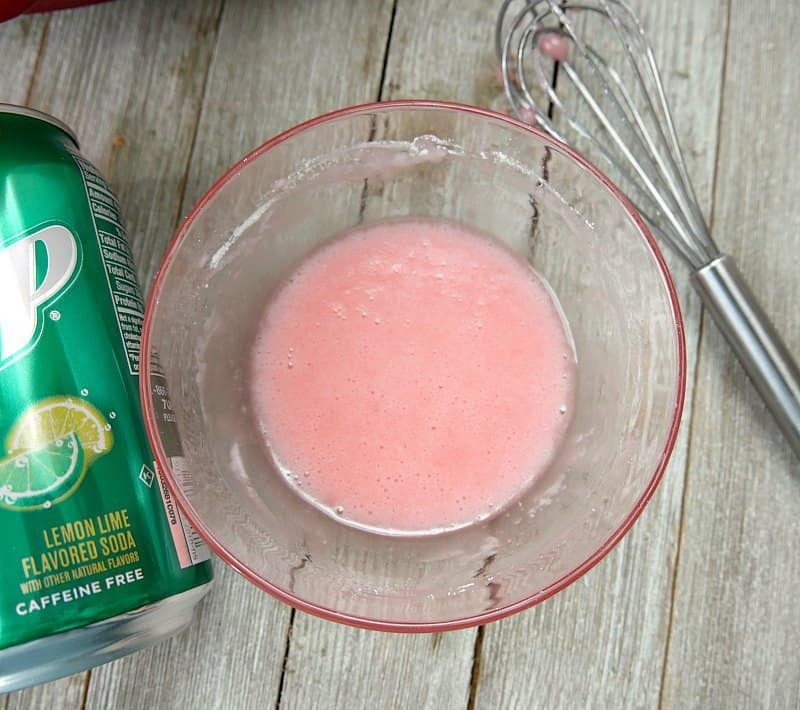 Carefully pour the 7UP into the cake mix. The 7UP is of course fizzy so go slow. 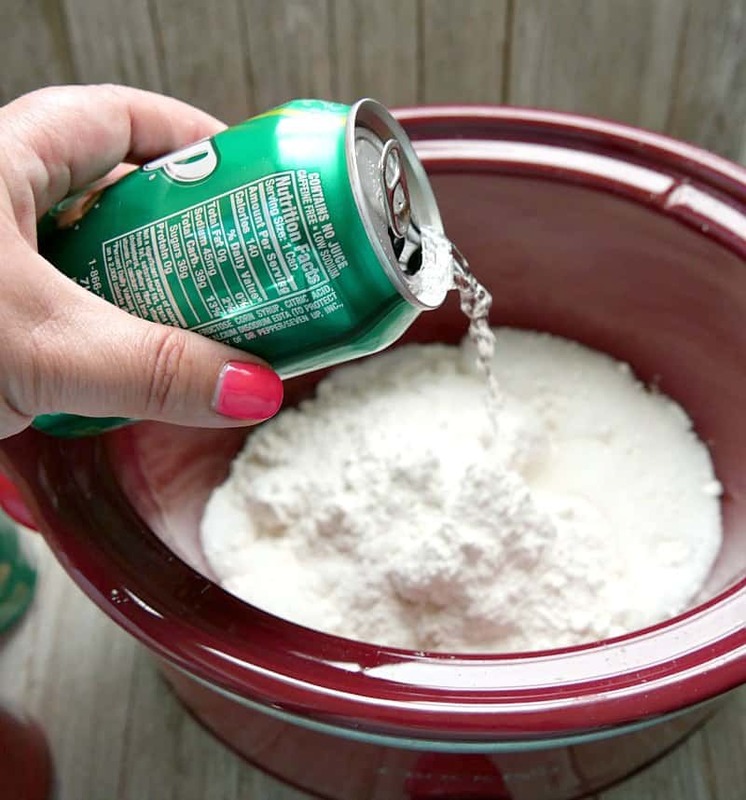 Use the entire cane of 7UP. 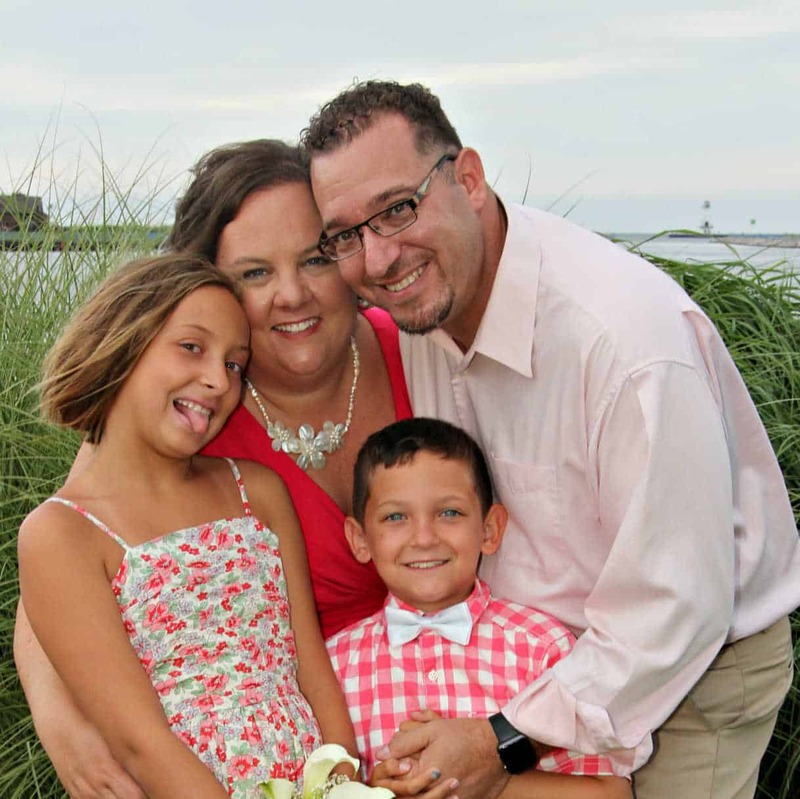 You don't need to wait for the fizz to go away before proceeding. But it's fun to watch. 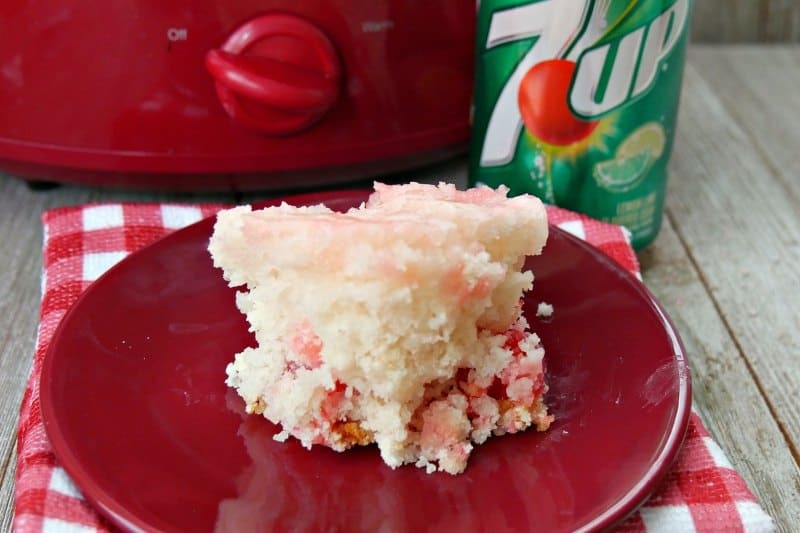 Use a wooden spoon to gently stir the 7UP into the cake completely. Make sure none of the cake mix is left dry. 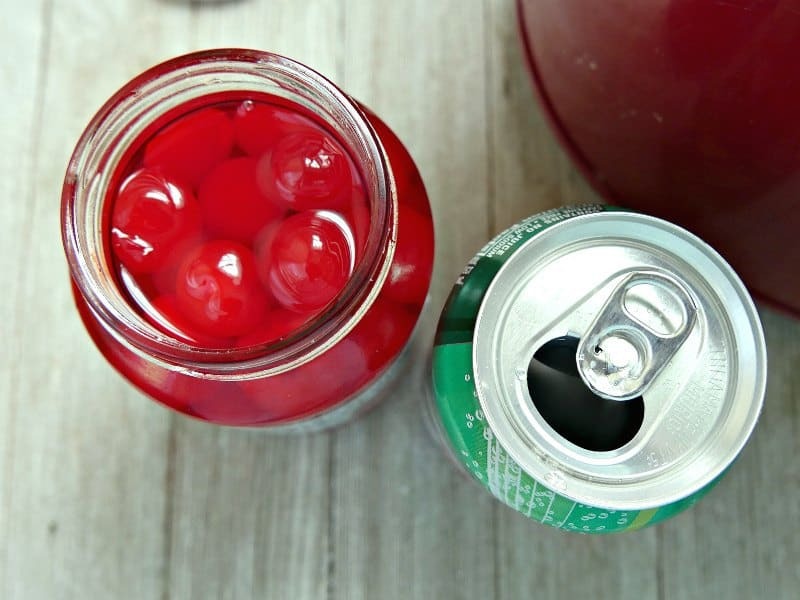 Crack open the jar of maraschino cherries. You can skip this step and go to the cooking step if you aren't using the cherries. Use a spoon to scoop out a little bit of the maraschino cherry juice from the jar. Use the wooden spoon to swirl it around. 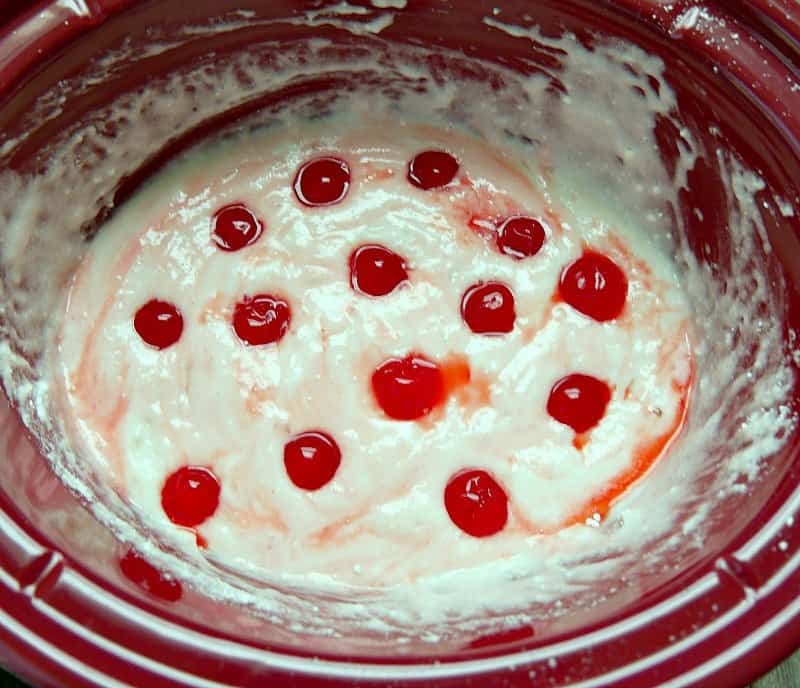 Add whole maraschino cherries to the top of the cake or you can go ahead and just mix them. The will sink to the bottom as the cake cooks. While you're at Walmart picking up the ingredients for your cake, make sure to grab a couple packages of Johnsonville brats. I found them in an endcap in the meat aisle. 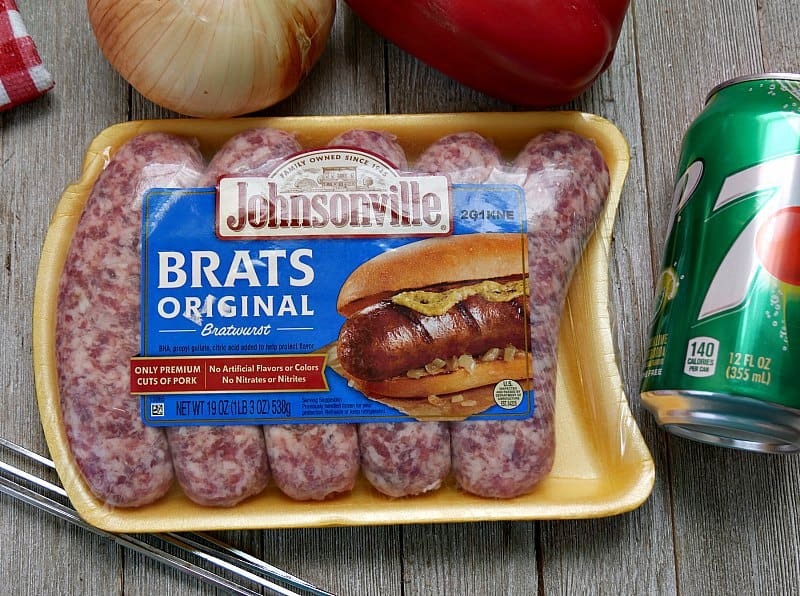 Aside from being the best brats for summer, Johnsonville brats have been made right here in the US from premium pork since 1945. We took the brats out of the bun and made them into kebabs. 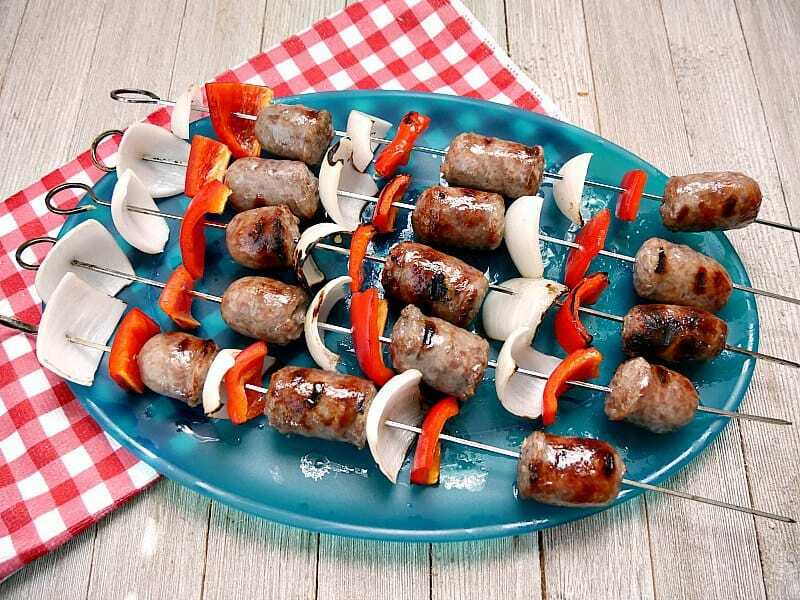 Johnsonville Brats are gluten free and serving them as kebabs is a fun option for your gluten free guests. Use a toothpick to check for doneness. If the cake isn't done, continue cooking for another 30 minutes. The cake is ready to serve! But you can also add a little glaze because what's cake without frosting? The glaze is made with powdered sugar, 7UP and maraschino cherry juice. You can pour the glaze right over the cake in the slow cooker or add it to the pieces of cake as they are served. 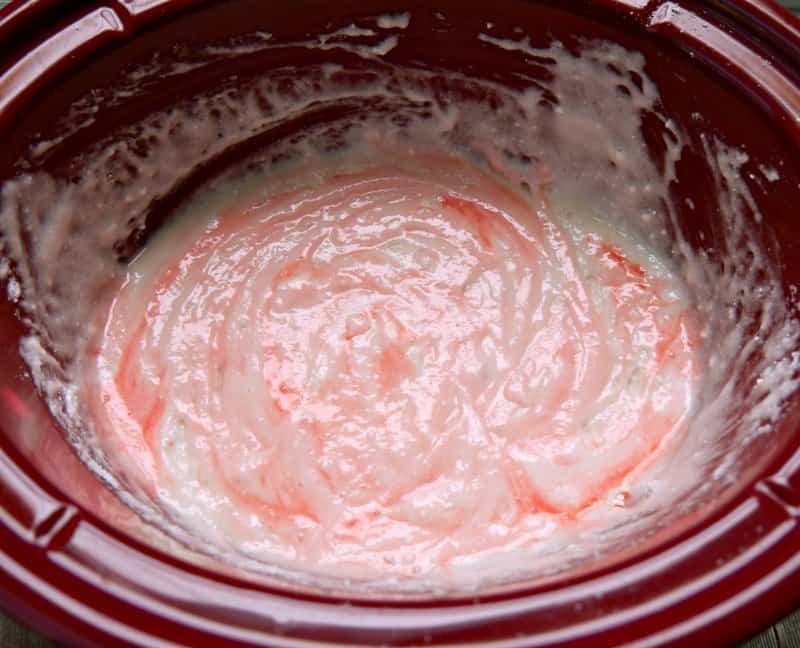 Empty the entire cake mix into the bottom of the crock of a 4-5 quart slow cooker. Pour in the 7UP. Stir to combine with the cake mix. Dribble in a spoonful of maraschino cherry juice. Swirl around the top of the cake mix with a spoon. Drop in as many maraschino cherries as you like. Cover and cook on HIGH for 1 1/2 hours. Check cake for doneness with a toothpick. If cake is not done, continue to cook in 15 minute intervals until it is. 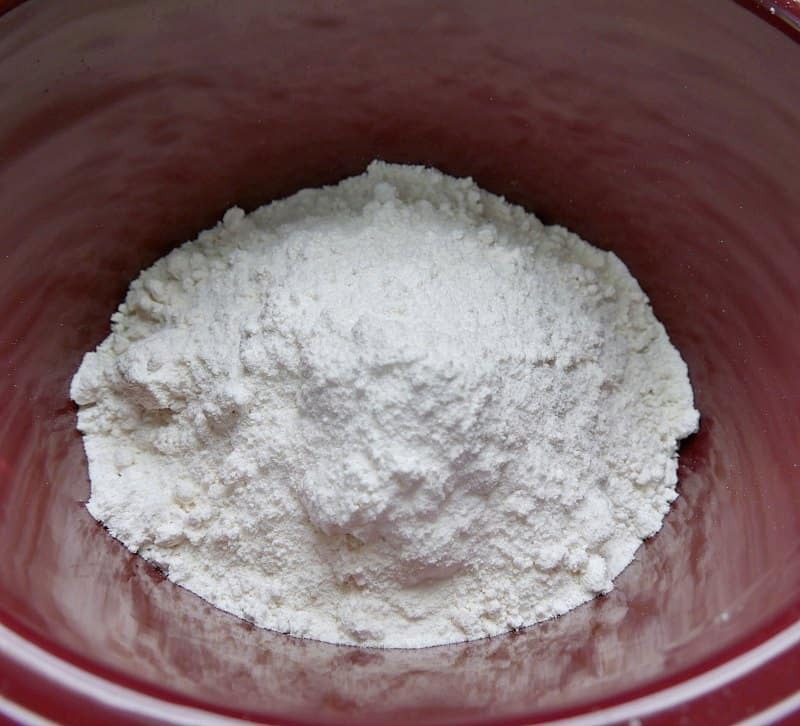 In a small bowl stir together powdered sugar, 7UP and cherry juice. Drizzle on top of cake either when serving of in the slow cooker. I made this cake for Father’s Day 2018. I went back for another piece and the men had eaten every bit and they weren’t shy about admitting it. This cake is so delicious I will definitely be making it again. Who could ask for something so easy with 3 ingredients. Tip: I used a slow cooker bag so all I had to do was pick it up out of the crockpot and throw it away. No washing at all. Try it; you’ll love it!!! I will add “man approved” to the recipe!! LOL 🙂 Thanks for the tip on using the bags. I wasn’t sure how they’d work with a cake.